Federal prosecutors next want to seize the Mongols' trademark patch, which is big business for the 600-member "criminal enterprise." 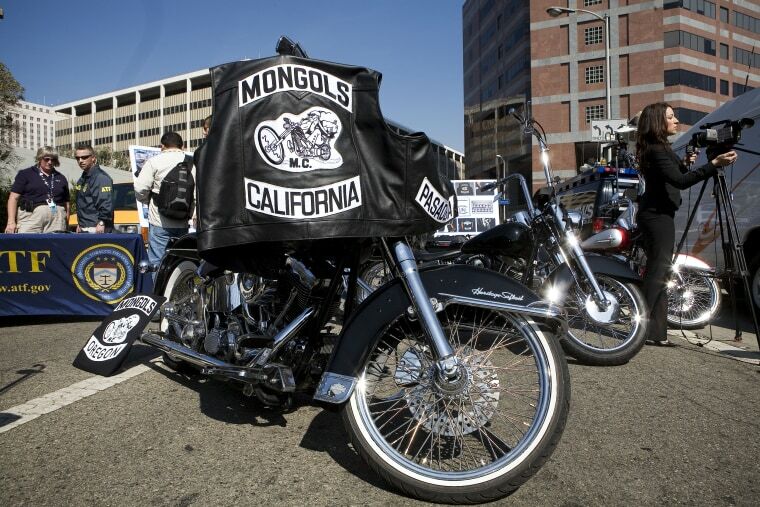 A federal jury on Thursday found the Mongol Nation biker gang guilty of racketeering, siding with prosecutors who said it operated as an organized criminal enterprise involved in murder, attempted murder and illegally distributing methamphetamine and cocaine, authorities said. Higher-ups in the estimated 600-person gang "will frequently bear patches that indicate they are officers in the enterprise," and they earn those patches through violence and mayhem, prosecutors say.